Damn, I look...wait, what happened to MY FACE?! 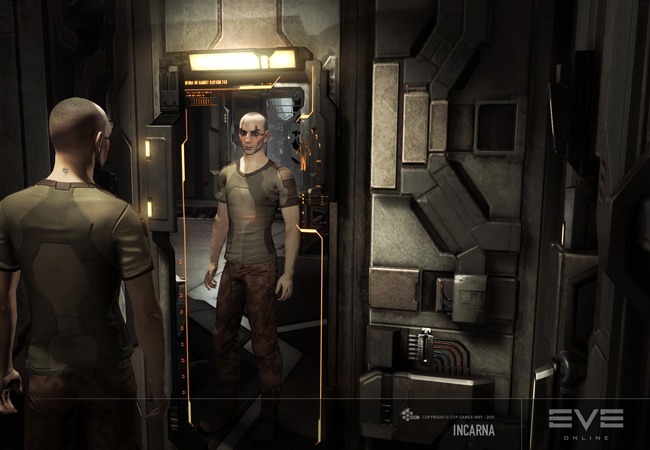 If y’all recall, several months ago, EVE Online pretty much imploded from within due to an uproar over things such as the much maligned Captain’s Quarters, the insane price of virtual goods and rumors of microtransactions for game-changing items. Since then, the folks behind EVE Online, CCP, have issued many statements on these subjects, some cryptic, some apologetic. he estrangement from CCP that many of you have been feeling of late is my fault, and for that I am truly sorry. There are many contributing factors, but in the end it is I who must shoulder the responsibility for much of what has happened. In short, my zeal for pushing EVE to her true potential made me lose sight of doing the simple things right. I was impatient when I should have been cautious, defiant when I should have been conciliatory and arrogant when I should have been humble. I don’t know about you, but this seemed pretty sincere…enough to make me consider trying EVE Online again…once they fix what they say they’ll fix. You can read the entire blog post here. Well, I for one am glad they're refocusing. I killed my sub at some point last year and have been waiting for a reason to go back. I'll probably wait until after the holidays to dive back in, but I'm glad they're refocusing on the game again. Yeah, me too. If they can fix what's broken and make it a better overall experience, I'll likely resub as well.